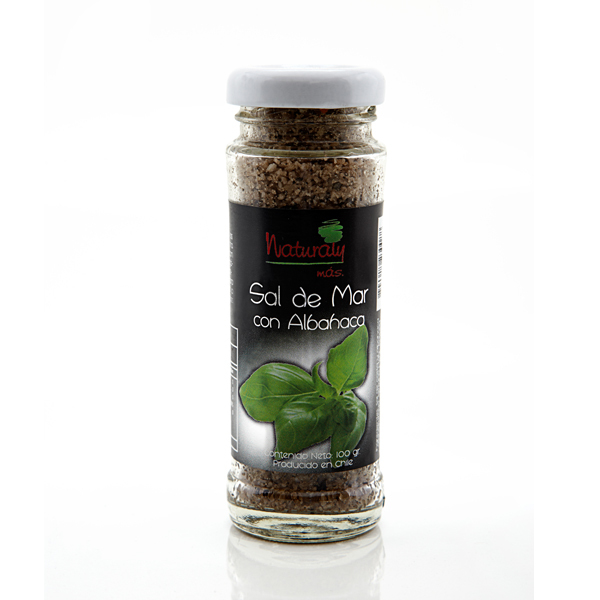 Sal con especias: Sal de las costas del Oceano pacifico,de la VI región de Chile, molida de manera artesanal adicionada de las más finas hierbas; ideal para la realización de carnes asadas, preparaciones al horno y sofisticadas ensaladas. Salt with spices: salt coming from the Pacific Ocean coasts, VI region of Chile, handmade grinded and added with fine herbs. It’s perfect for the BBQ, the kitchen and sophisticated salads. • Sal con Tomillo: carne de conejo, cebiche, caldos en general. • Sal con Laurel: pastas, salteados de verduras. • Sal con Orégano: carne de pavo, cerdo, pizza. • Sal con Menta: ensaldas de tomate, carne cordero, salmón. • Sal con Ciboulette: ensalada de tomate y rusa, pescados. • Sal con Romero: carne jabali o cerdo, sierra. • Sal con Albahaca: choclo cocido, ensalada de quesillo. Brought from the Pacific Ocean Sea shores, specifically from the 6th region of Chile, these salts have been ground using handcraft methods and mixed with the most refined herbs. The NATURAL Y MÁS salts are perfect for seasoning barbecues, sophisticated salads and baked meats. 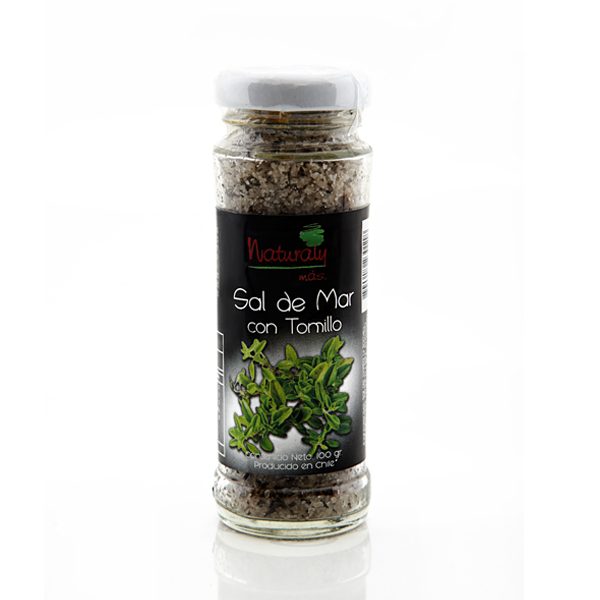 • Salt mixed with thyme: Rabbit, cebiche (fish preparation) and soups in general. • Salt mixed with laurel: Pastas and stir- fried vegetables. • Salt mixed with oregano: Turkey, pork and pizzas. • Salt mixed with mint: Tomato salads, lamb and salmon. • Salt mixed with chive (ciboulette): Tomato salads, Russian salad and fish. 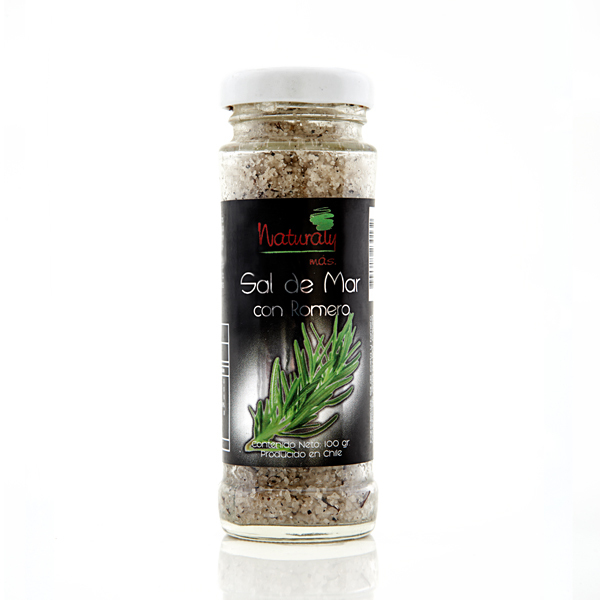 • Salt mixed with rosemary: Wild boar meat, pork and snoek fish. • Salts mixed with albahaca: Corn and cheese salads.